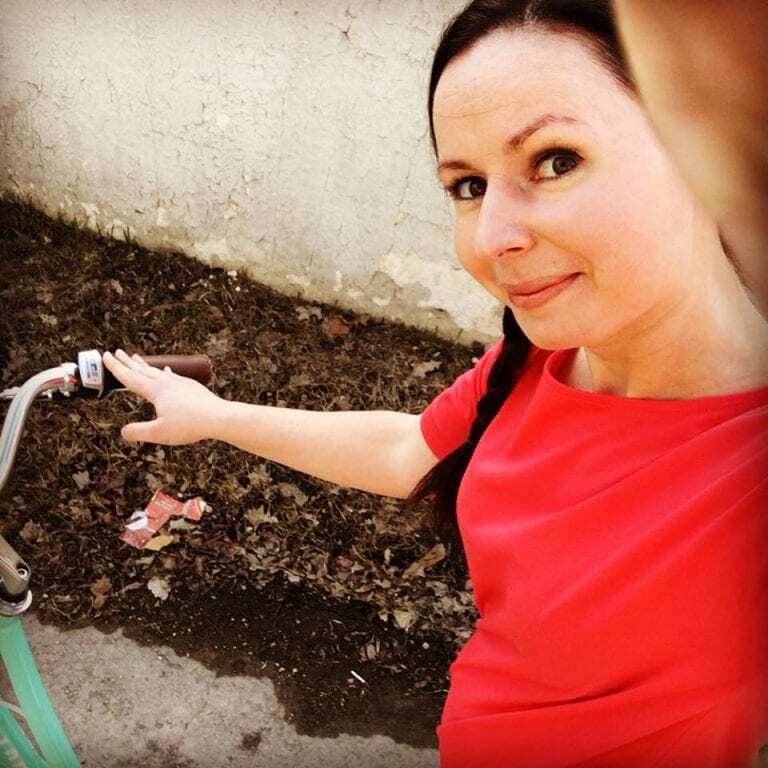 Bike Week Inspiration with Breanna Sawatzky! As you may know, this week is Bike Week, and what better time to dust off that bike and take it for a ride. So, with a ton of great events going on all week, lets get moving! Not only is biking a great way to reduce your personal carbon emissions, but it has many other benefits on your physical health and mental wellbeing. Our office sat down with Breanna Sawatzky, the College’s Mental Health Coordinator to discuss sustainable transportation. Her role consists of many important facets such as drop-in counselling as well as training and education. 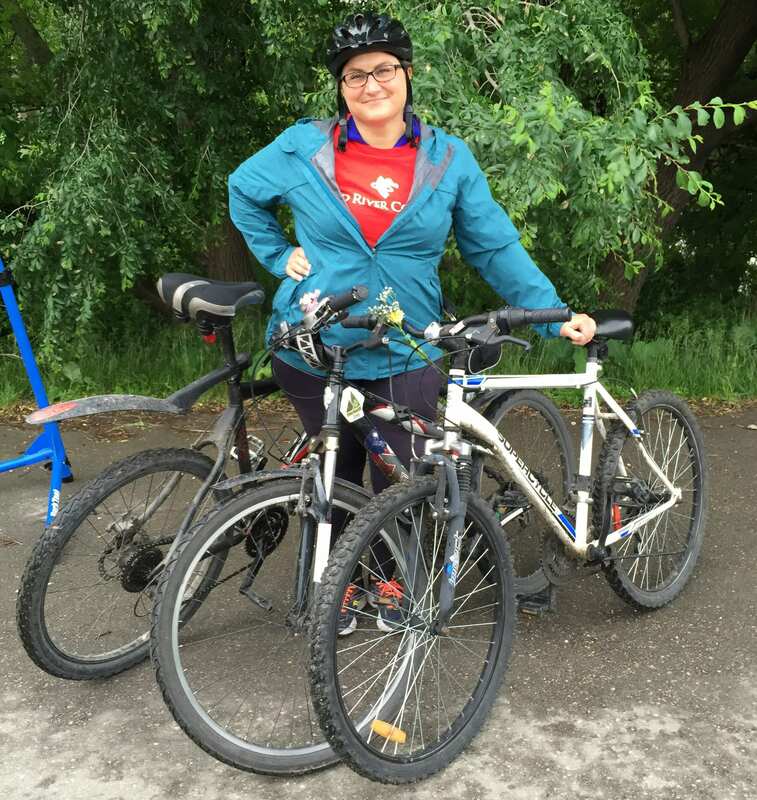 Below Breanna answers some questions about her experience biking to work, and how it can positively affect your mental health. Q: Tell me about yourself and your transportation strategies in the past? The Sustainability Office has grown from two to three! We’re excited to introduce Laura Hnatiuk as RRC’s new Sustainability Coordinator while (former Sustainability Coordinator) Whitney Crooks takes on the role as Resource Reduction Specialist for the next two years. Learn more about Laura in her own words. Hello RRC! 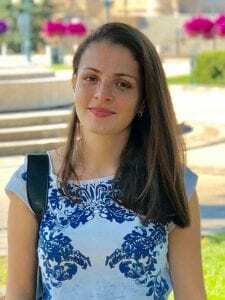 My name is Laura Hnatiuk and I am beyond excited to take on the role as Sustainability Coordinator. I look forward to engaging with students, faculty and staff to deliver and expand top notch waste, recycling and other sustainability programs and events on campus. So… who am I?! Since a youngster in diapers, I’ve always had a fascination with nature. You could often find me gazing at the sky, picking at leaves, poking at bugs and collecting many, many rocks. Growing up, my fascination developed into a passion to protect and maintain the integrity of our earth and its valuable resources. To no surprise, I went on to get my Bachelors in Environmental Studies from the University of Manitoba, focusing on biodiversity and conservation. After spending some time away in the Rocky Mountains, I returned to Winnipeg full of fresh mountain air, to pursue my career in environmental sustainability. 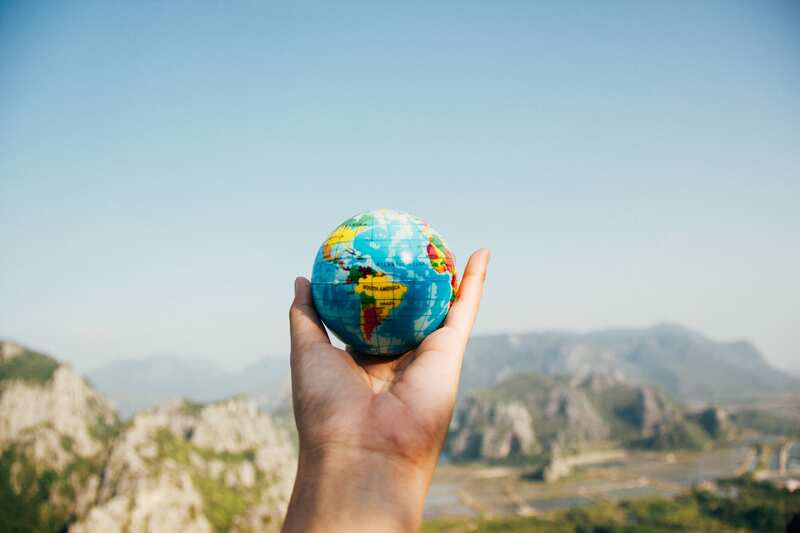 It became very evident to me that my ambition lies within public outreach and institutional sustainability, working towards the development and expansion of sustainability programs and initiatives to provide the access and resources needed to build a strong culture of sustainability, and promote behavioral change that can be carried forward into everyday life. I have since worked to integrate sustainability programs and initiatives within both the public and private sector, most recently coming from Green Manitoba as the Organic Waste Program Coordinator. There my role was to coordinate the development and delivery of the Manitoba Composts Program, Schools Compost! Program, and expansion of various organic waste diversion initiatives, projects and funding opportunities throughout Manitoba. Before that, I had a great opportunity at MTS, where I established an Environmental Management System and worked to integrate waste, recycling and other sustainability programs across the telecommunications industry in Manitoba. On my own time, I’m active in both the local environmental community and the gym (you can find me at Bootcamp!). I enjoy volunteering in many different fields of interest, particularly local arts and culture, as well as all things food! In addition to that, Farmers Markets and yoga take up much of my free time. I am confident that RRC will continue to build its reputation as a leader in sustainability and am thrilled at the opportunity to be a part of the team! Please feel free to contact me anytime with comments, questions, concerns or ideas. I can be reached at lahnatiuk@rrc.ca, 204 632 2144 or drop by C519 (baking is always welcome). Here’s the deal… we know that 60% of staff and 50% of students are concerned about the environmental impacts of commuting. We also know that many staff want flexibility in their commuting options throughout the year and that 25% of students prefer to carpool to campus. For these reasons, and many more, Red River College is excited to introduce GoManitoba to students, staff and faculty. GoManitoba is a province-wide commuting platform that matches you with carpool partners (drivers and/or riders) who live and work/ attend campus near you. The system also gives you transit options, walking and cycling routes, and matches you with commuting buddies. Students and staff have the option of matching with everyone on the GoManitoba site, or you can choose to limit your search to College-specific users/ ** Use your Red River College (rrc.ca) email address to ensure you get connected with RRC peers. Registering and navigating the site is just a simple as creating and using your Facebook account, but if you need some help you can refer to this handy GoManitoba How to Guide. Cutest air freshener I ever did see. Thanks Green Action Centre! The free app can be download to your smartphone, tablet or desktop. GoManitoba works best when a critical mass of people sign on, so encourage your friends, family and colleagues to join. To sweeten the deal, the Sustainability Office is offering a $200 Commuter Care Package to one lucky Rebel who registers before November 30th. Green Action Centre, the provincial coordinator for this program, is also offering some ‘early adopter’ prizes for the first 5,000 registrants to the site. Launching GoManitoba is another way the College is promoting sustainable commuting to campus. Learn more about our plans and priorities by checking out our Transportation Plan. Red River College’s 2nd annual Farmers’ Market is being held on Friday, September 15th from 11am – 1:30pm in the Library Hallway… and we hope to see you there! Wafflelicious – Savour one of these waffles and you’ll swear you’re sitting in a café in Brussels. Gold Bone Broth – Bison bone broth and chicken bone broth is a delicious way to fill your body with all kinds of goodness like protein, calcium, antioxidants and amino acids. Plus it’s delicious. Pod4design – Warm tired and sore muscles with these naturally made therapy bags. I can tell you that the Peppa Pig Therapy Bag I got for my 3-year old at last year’s market is a hit. Hearts & Roots – Farm fresh, organic veggies. Need we say more? The Stak Co.- Colourful packets of pulses and legumes to make delicious soups, burritos and chilis. Ole! Nosh on This – Pamela whips up delicious sweet and savoury baking. Bet you’d never know it was vegan and gluten-free. This means you can eat twice as much, right? Cze By Tania – If a beard was ever to be described as lustrous it would be thanks to Cze’s beard oil. Hair and body products, too! Did we mention Tania’s a former grad? Prairie Quinoa – Did you know that in Bolivia and Peru there are more than 6,000 varieties of quinoa? Closer to home, engineer turned farmer Percy Philips grows amber quinoa on his farm near Portage la Prairie. Assiniboine Community College Baking Program – Chef Barb and her students are back at it. This time they’re bringing streusel cake, bread and jams. Delish! RRC Sustainability Office – The three hours a year when the Sustainability Office becomes a Market Vendor. We’ll be there selling our Bijou and Creekside honeys. Jars are $10 each. Come hungry. Come with a reusable bag. Come with a full wallet. Come with your co-workers. We look forward to seeing you! Creekside Honey: NDC’s very own private label honey. Don’t worry, our Marketing Department will make a much nicer label . You submitted (98 honey names) and you voted (an astounding 6,794 times) and we finally have a resolution to our NDC honey-naming contest. A huge congratulations goes out to Bettina Allen for coming up with Creekside Honey. This honey is aptly named because, in Bettina’s words, Omand’s Creek runs along the edge of the college grounds and through Brookside Cemetery. It is home to a variety of wild plants, flowers and wildlife and likely a popular place for the RRC bees to collect pollen. Mark your calendar! Creekside Honey, along with our Bijou Honey, will be sold at RRC’s 2nd annual Farmers’ Market on Friday, September 15th. Since we’ve doubled our hives from last year, our honey yield has increased substantially, so there will be much more to go around. Congratulations also to our finalists Rob Buisson (Bad to the Drone), Shaun Scrymgeour (Born to Bee Wild), Lynn Gibson (Campus Buzz), Dave Wozny (Notre Dame Nectar), Mark Hoddenbagh (Rebelicious). Thank you to everyone who participated in this fun summer contest. It sure did create a buzz on campus! Our bees (and our Leslie) on Building A. We received a whopping 98 submissions in our contest to name the Notre Dame Campus honey. The honey names and descriptions were then passed on to our judges (Gord ‘Guardian of the Grounds’ McLeod, Riva ‘Penchant for Puns’ Harrison, and Darryl ‘Actual Apiarist’ Oshanyk) to develop our shortlist. It was a difficult task to pare the list down from 98 to 6 submissions, but our judges were up for this challenge. Without further ado, our shortlist is…. All students and staff are now invited to vote for their favourite honey name through the online poll below. Voting will end on Wednesday August 16th at 4pm and our winning honey will be announced on Thursday, August 17th. The creative minds who came up with the 6 short-listed honey names will each receive one jar of our Notre Dame Honey, with the winning submission receiving four jars (2 of the PGI honey and 2 of the NDC honey). Sweet deal! This honey-naming contest is one of many events we’re holding this summer to promote our partnership with Beeproject Apriaries and the 6 hives we have dotting the rooftops of our college campuses. We’re still gearing up for a honey extraction workshop and Farmers’ Market, so there’s plenty more time to get involved with this project. Chris from Beeproject Apiaries talks to RRC staff on the Building A rooftop. Oh Bijou honey, would a honey by any other name taste so sweet? We think so. The problem is… it doesn’t have a name. As you might know, RRC has partnered with Beeproject Apiaries again this summer to install hives on campus. Last year, three hives were installed our of PGI rooftop. The end product of that partnership was a delicious yield of Bijou Urban Honey. The honey was named Bijou after the park just south of our PGI building, where the bees foraged for nectar, and also because the honey was delicate and jewel-like (‘un bijou’). This year, the PGI hives (and the Bijou honey) are back. In addition to that, three hives have been installed on the rooftop of Building A at the Notre Dame Campus (see photos here)…. and we need your help. Enter Complete the attached form outlining your honey name, along with a brief description of why you think it’s fitting. Tip: Take inspiration from geography, history, comedy, an apiary… just be downright creative. Entries will be accepted until Friday, July 28th at 12pm. All submissions will be reviewed by a panel of RRC judges who have been carefully curated for their knowledge of communications (particularly puns), natural landscapes and, of course, bees. The shortlist will be revealed on social media and though all staff news on August 8th. Vote The college community will be able to vote among the shortlisted names from August 8th- August 16th. All shortlisted submissions will receive a free jar of RRC honey. Win On August 28th the person who comes up with the winning NDC honey name will be profiled on the Sustainability Office’s social media (here, here and here), receive 4 free jars of RRC honey… and, of course, sweet bragging rights. Buy All students and staff can purchase both the PGI and NDC honey at RRC’s 2nd annual Farmer’s Market scheduled for early September. Bee fun. Bee creative. Bee-lieve that the winning honey name is somewhere deep inside of you! We’re Number 1 – Again! We won GOLD in our workplace category – again! It is official – Red River College won GOLD in our workplace category in the 2017 Commuter Challenge – for the 3rd year in a row! Not only that, we had a record year! We had our highest number of participants ever (191) and our highest participation rate ever (30.3%)! The number of people who registered and logged at least one trip increased 63% from last year! 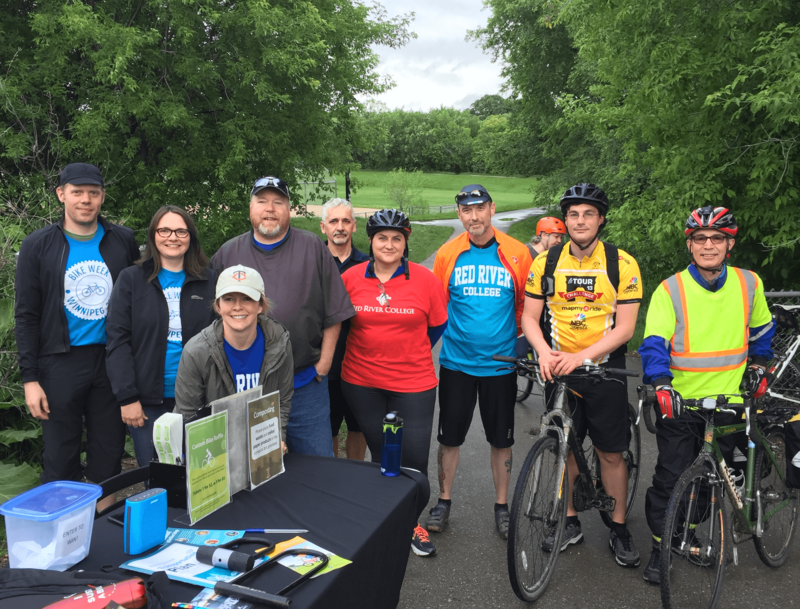 This is a true testament to the commitment of the people of Red River College to sustainable commuting options, and to sustainability in general. Thank you to everyone who participated whether you did what you always do, or you tried something new just for the Challenge, we could not have done it without you! 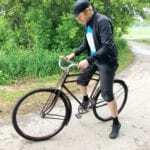 NDC Bike Repair Workshop hosted by RRC Instructor Daniel Enns. Leading up to the Challenge, we organized two bike repair workshops for cyclists of all levels to increase their confidence in performing routine maintenance and simple repairs on the go. 27 people attended with many more interested, prompting a brainstorming session in our office about how to support more people to cycle to and from campus – stay tuned! 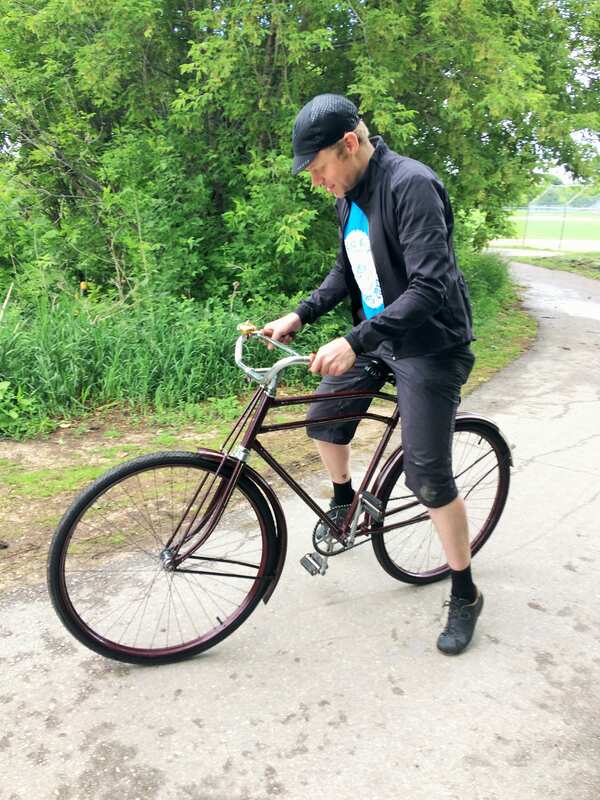 A big shout out to Daniel Enns, an RRC Instructor who hosted the NDC workshop AND was the catalyst (and volunteer mechanic) for us to host our first-ever Bike to Work Day Pit Stop (see below). To help encourage registration, we held a prize draw from everyone who registered before May 31st for the Challenge (which was June 5-9). 123 people registered before this date, which represented 60% of total registrations. Congratulations to our winner Michelle Lodewyks who won a bike lock, an “I “heart” Sustainability” reusable water bottle, and a universal cup holster. Display on our Transportation Plan at the 2017 Commuter Challenge launch. 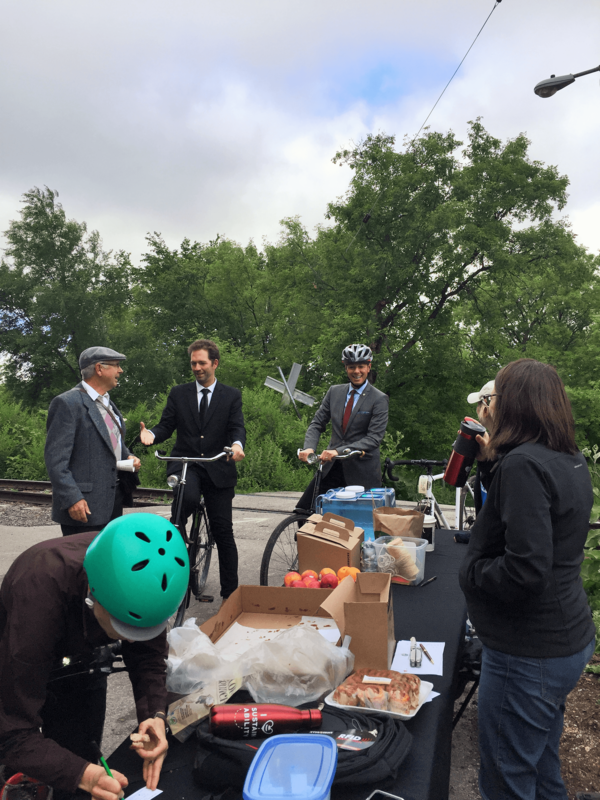 We were thrilled to host Green Action Centre for the official launch for the 2017 Commuter Challenge in Bijou Park beside the Paterson GlobalFoods Institute on June 1. The event was emceed by CBC’s Trevor Dineen and guests included The Honourable Cathy Cox, Minister of Sustainable Development; Councillor Brian Mayes, City of Winnipeg; and Paul Vogt, President of Red River College. This event also coincided with the launch of our Transportation Plan which we were able to showcase at the event. Having fun at one of our Commuter Welcome Stations. 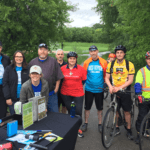 A couple of weeks after the Commuter Challenge was Bike Week – a week-long celebration of cycling in all forms for all reasons. 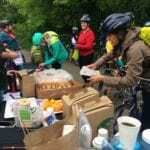 The last day of this week (Friday, June 23) was Bike to Work Day where pit stops were set up all across the City with bike repair, treats, and prizes for commuters cycling to work. 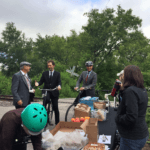 Thanks to the initiative of Daniel Enns, RRC hosted it’s first-ever pit stop for Bike to Work Day. 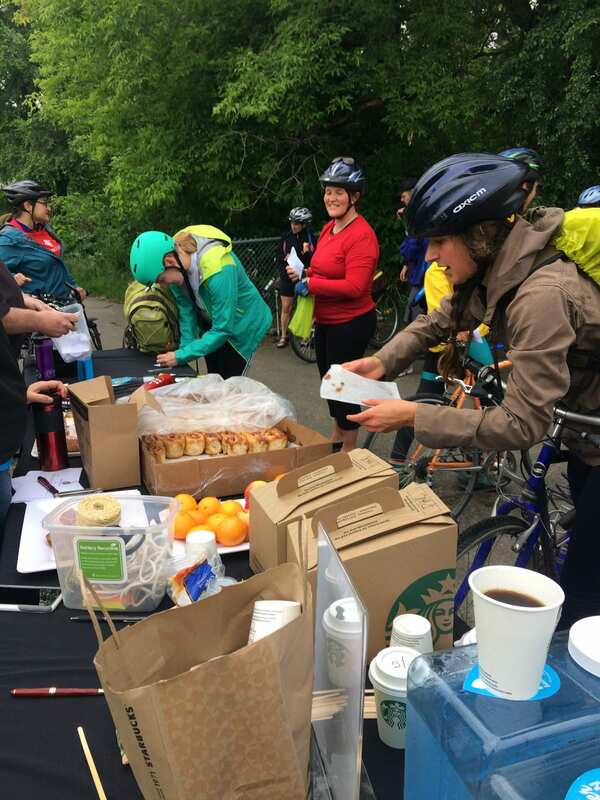 With the help of many volunteers (listed below), we welcomed about 115 cyclists to our stop located at the north side of the Omand’s Creek footbridge with fresh cinnamon buns and other treats, coffee, water, music, repairs and maintenance and a prize draw courtesy of the Campus Store. 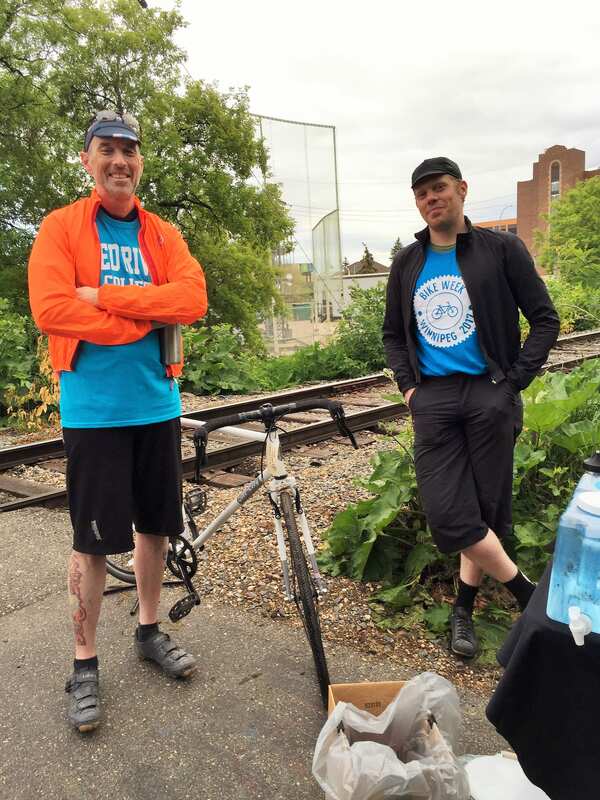 Thank you to the following volunteers for making the Pit Stop a great success: Daniel Enns, Todd Buchanan, Jody Gillis, Jim Voth, Tyler Steiner, Patrick Griffith, Leslie Ternowetsky (bike valet to the stars).